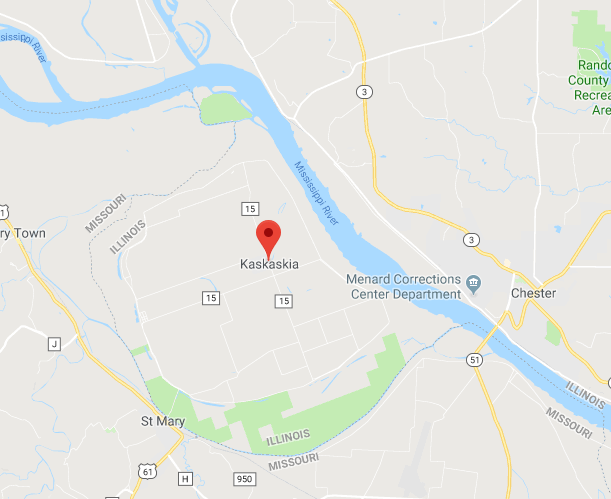 With a population of scarcely more than a dozen, the Illinois village of Kaskaskia holds the distinction of being the smallest community to ever serve as a capital city-- a title it held from 1809 until Illinois obtained statehood in 1818. Initially situated on a peninsula on the east bank of the Mississippi River, the settlement became a boom town for the French fur trade in the early 18th century. Ironically, the same geography that led to its rise also led to its downfall. In the late 1800s the town was completely cut off from the Illinois mainland by a shifting Mississippi River, thereby making it appear on maps as though it should be part of Missouri (a peculiarity known to cartographers as an exclave). 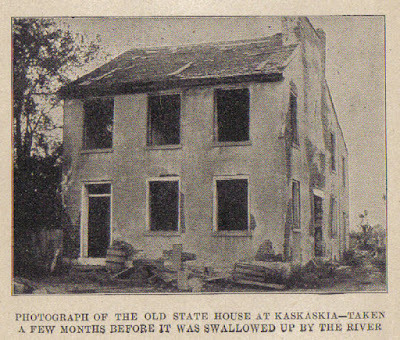 While the 1881 flood effectively turned Kaskaskia into a near ghost town, it would not be the first natural disaster to devastate the former Illinois capital; major flooding threatened to wipe Kaskaskia off the map in 1926 and 1993, and minor flooding is an annual occurrence. 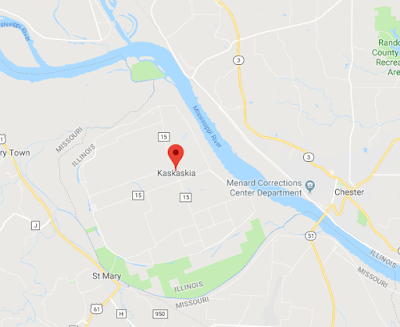 While the downfall of Kaskaskia may be attributed to poor site selection coupled with rapid man-made erosion caused by deforestation, there were many who believed that Kaskaskia was cursed by Indians, all because of a fur trader by the name of Jean Benard. 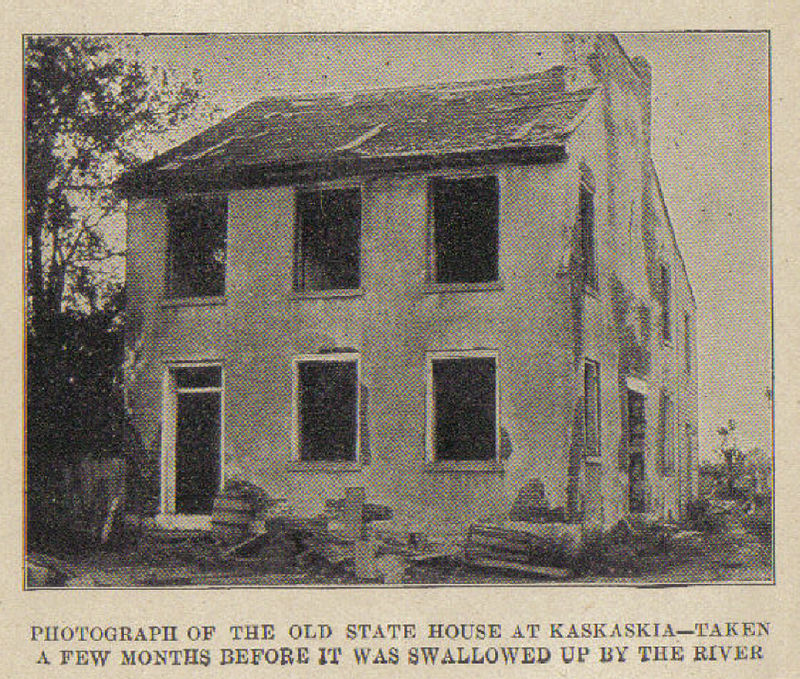 The origins of the legendary curse date back nearly three centuries, when the French emigrated from Canada and settled in Kaskaskia to trade with the native Illini peoples. 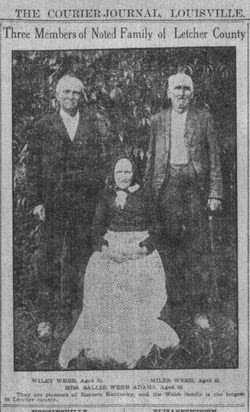 Among these early white settlers were Jean Benard, his wife, and their ten-year-old daughter Marie. As the village grew Benard became its wealthiest and most influential citizen, and Marie grew up to become the belle of the village. There was no shortage of suitors who sought the hand of Marie, but she rejected all of them, until the inevitable day came when she finally fell in love. Much to Jean's chagrin, however, the object of her desire was a young Indian, whom tradition says was one of the natives converted to Catholicism by the early French Jesuit missionaries. The Indian youth was well-liked and very respected by the white settlers and members of his own Illini people alike. He was hard-working and industrious and, in spite of his misgivings, Jean Benard appeased his daughter by taking him into the fur trading business. Unfortunately, as the romance between the two teenagers blossomed, Jean severed his business connections with the Indian youth and forbade his daughter to see him. The brokenhearted suitor left the village and was not heard from for several months. But then, just when it seemed that Marie had gotten over her grief, the boy appeared and convinced Marie to run away with him. Jean Benard organized a search party and, three days later, the young couple was found in an Indian campsite a few miles below the village. According to legend, when Jean found the young man, he sought to teach him a lesson by tying him to a raft and setting him adrift in the Mississippi. As the raft was swept away by the swollen currents, the trussed Indian cursed Benard and the entire community of Kaskaskia, declaring that the town would be destroyed by the river, and would continue to be destroyed for all eternity so long as the white man occupied the region. Jean Benard, as the story goes, was later killed by a Frenchman in a duel and the river fulfilled the angry Indian's curse year after year after year. As for Marie Benard, it is said that she was placed in a convent where she later died.